The Department of Nordic Studies and Linguistics covers a broad range of scholarly subjects that in part are represented in the collections of the department library, in part attached to the cultural-historical collections. The department thus has obligations ranging from scholarly publications to maintaining and digitizing achives related to the linguistic cultural heritage. The library has the following collections: Finnish, Indo-European, gender studies, linguistics, Nordic studies, Arnamagnean, dialectology name research and the Frøland collection (Danish book trade and publishing history). Contains about 3,000 manuscripts, mainly from the collection of the Icelandic philologist and historian Árni Magnússon (1663-1730). Supplementary material includes a collection of Danish and Norwegian diplomas. The department has a comprehensive archive of records pertaining to the Danish dialects, among other things a slip collection with vocabulary in classical Danish dialects and a topographical collection. 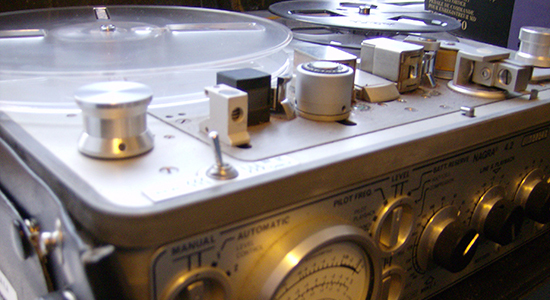 The sound archive contains recordings of traditional dialects, levelled dialects, regional languages, Copenhagen sociolects, youth languages and multietnolekts, job and employee interviews etc. Contain name forms from the oldest runic inscriptions to modern records. The best documented names are the Danish settlement and area names, but the collections also include e.g. field names, topographical names and street names. These collections, together with the library source editions, periodicals, encyclopaedias and printed name lists, make up the only archive in Denmark where it is possible to study the occurrence of the names over time and to determine their meaning.